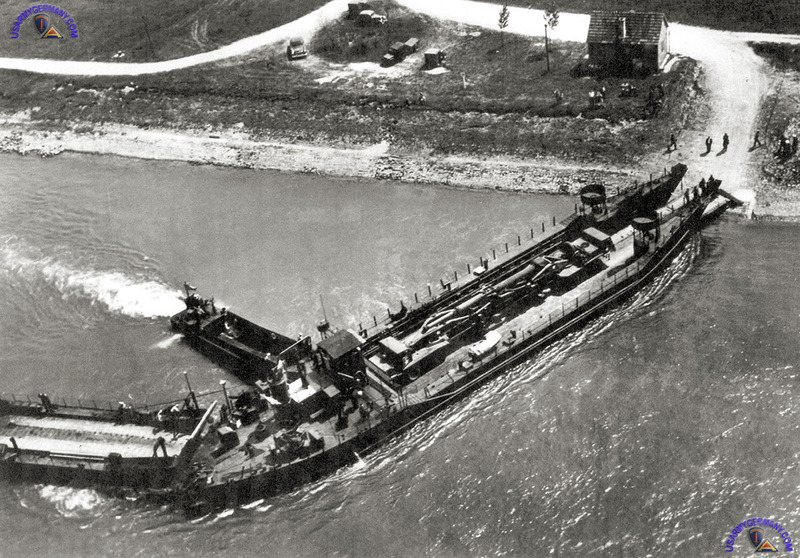 This one is an LSU ferrying the Army's big cannon across the Rhine. The gun is long and very heavy, notice the smaller boats assisting the operation. This is the artillery cannon that could fire atomic warheads.